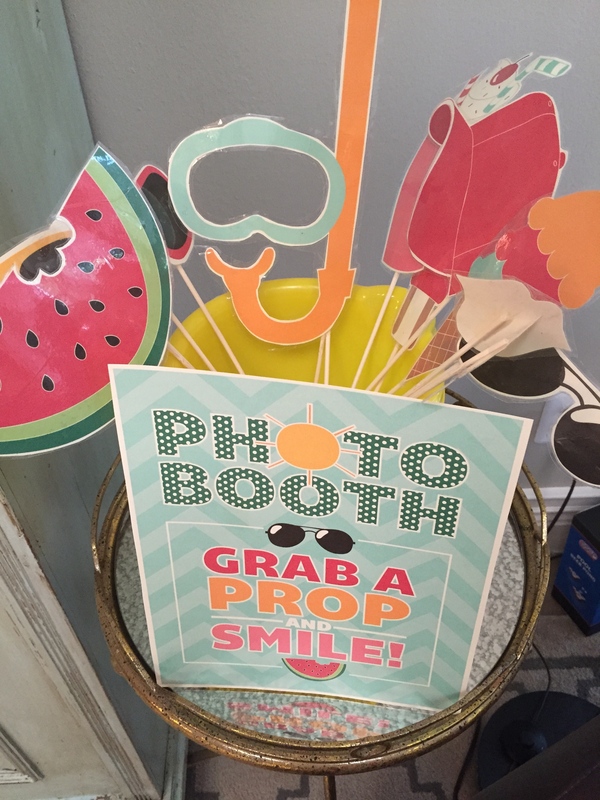 There were so many cute aspects to this party that I refuse to leave anything out so this will be a three-part series for you guys with part one being the inspiration & decorations. I’ll follow with the main food recipes and end with dessert recipes 🙂 So here we go, Part One! 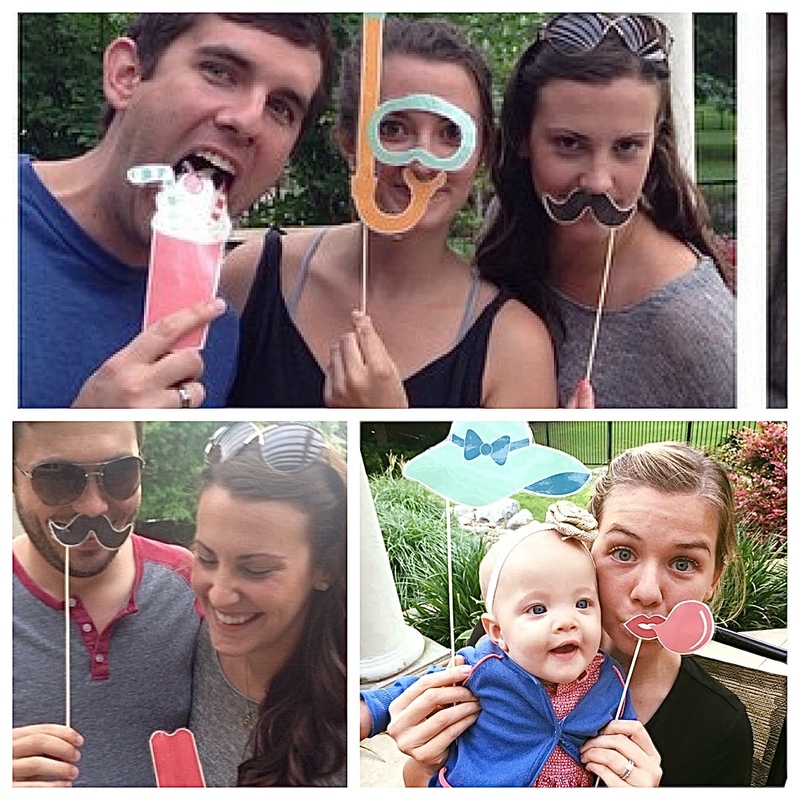 As I normally do, I went to Pinterest the moment the thought of a party or opportunity to entertain was within grasp. I love to mindlessly pin all the time to what I call my “category” boards (dinner recipes, desserts, entertaining inspiration, etc) but when I have a specific event in mind, I create one large inspiration board including everything in one place. It’s really just the modern-day mood board. 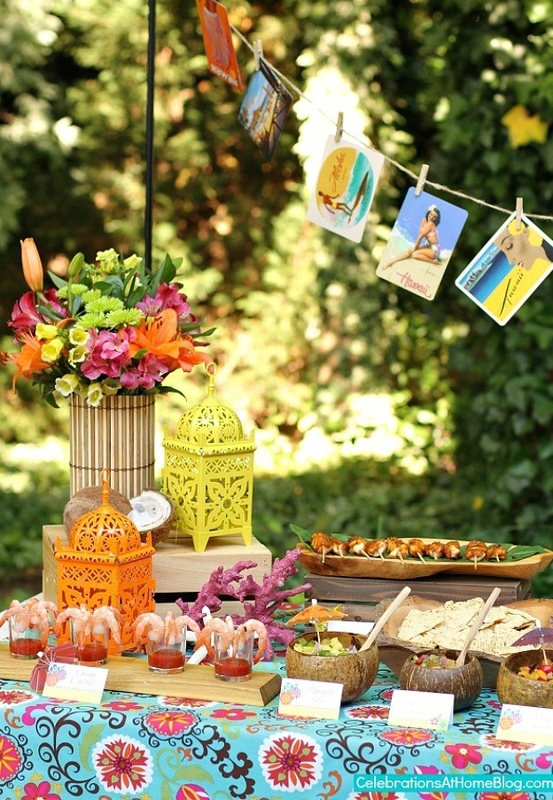 This party’s inspiration board started with this glorious post by Celebrations at Home where I fell in love with this tropical theme. 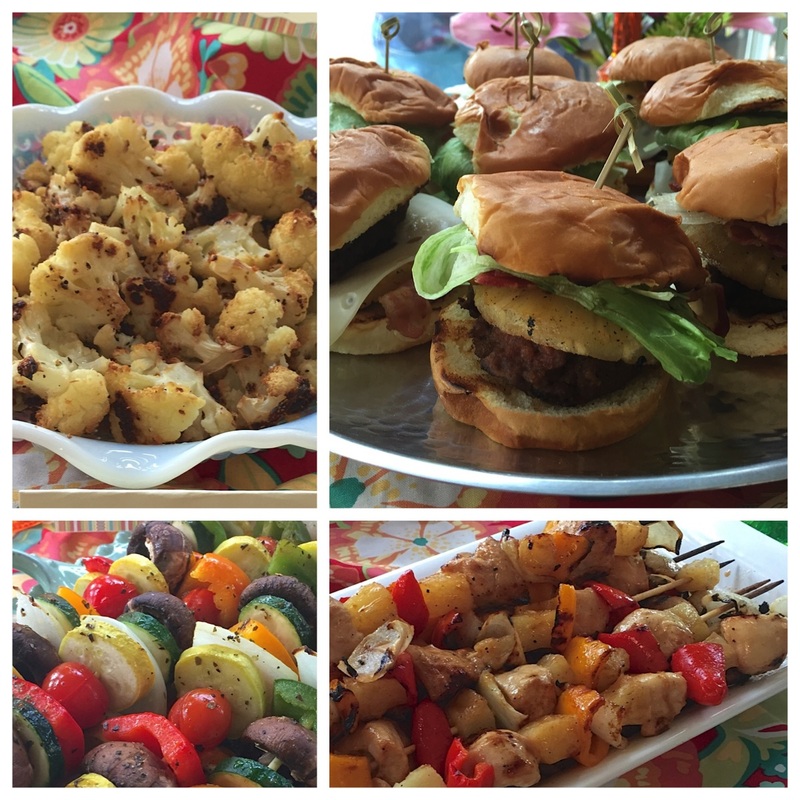 Everything then grew out of this into a beautiful, vibrant and YUMMY Tropical Pool Party. So obviously when it came to decorating for this party it was all about color & flowers. I went on my usual meandering trips that the husband despises (guys just don’t get that you have to hunt before purchasing! sheesh). I hit Dollar Tree at just the right time when all of their luau items came out. The trick here is to not go overboard and really think about how to make dollar store items not look…well…dollar store purchased. 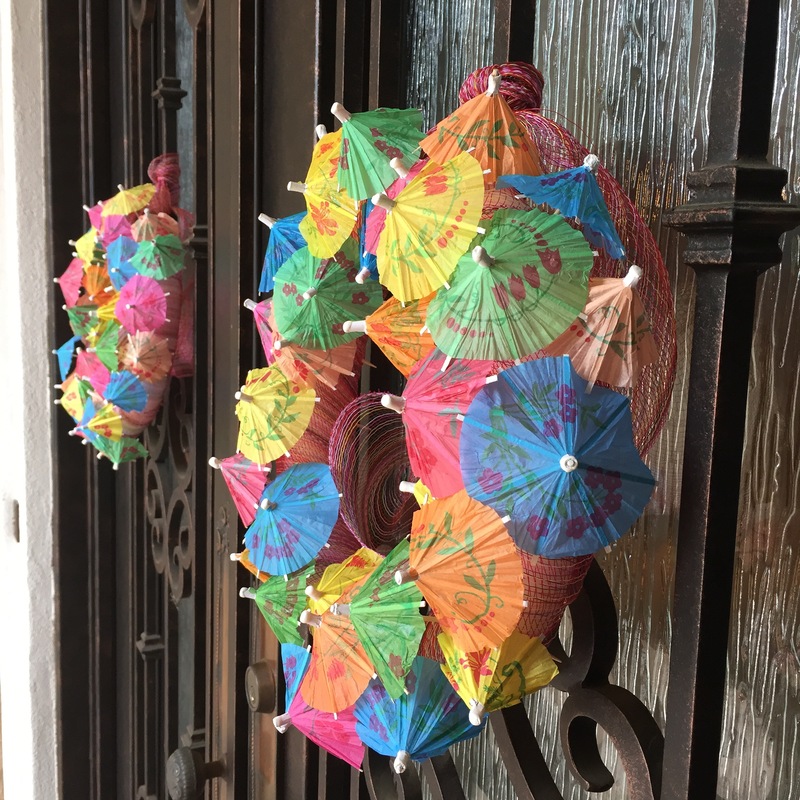 I ended up with a whole bunch of cocktail umbrellas that I made into these adorbs wreaths for our front door and then accented throughout the house with the remaining umbrellas. These wreaths are SO EASY guys. Just pick up one or two foam floral wreaths from your JoAnn or Michaels, cover with some burlap or loose ribbon and go to town sticking those suckers in. So I’m sure you heard my squeal when I spotted the incredible amount of scrapbook paper Tuesday Morning had on sale for HALF the price I normally see it. Scrapbook paper is the second place, outside of Pinterest, that I often start for decorating inspiration. I use it for so much – it’s like finding the perfect fabric when making an outfit. 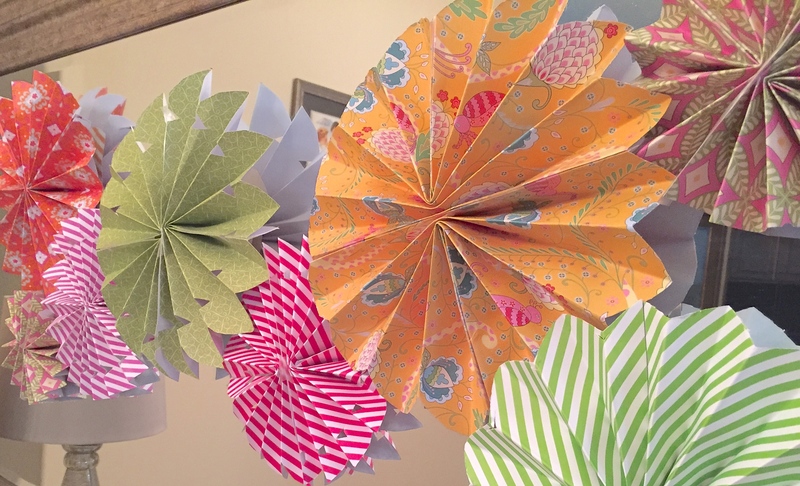 My Tuesday Morning snag turned into these CUTE pinwheels and oh-so-easy flower backdrop and I still have a ton more paper. 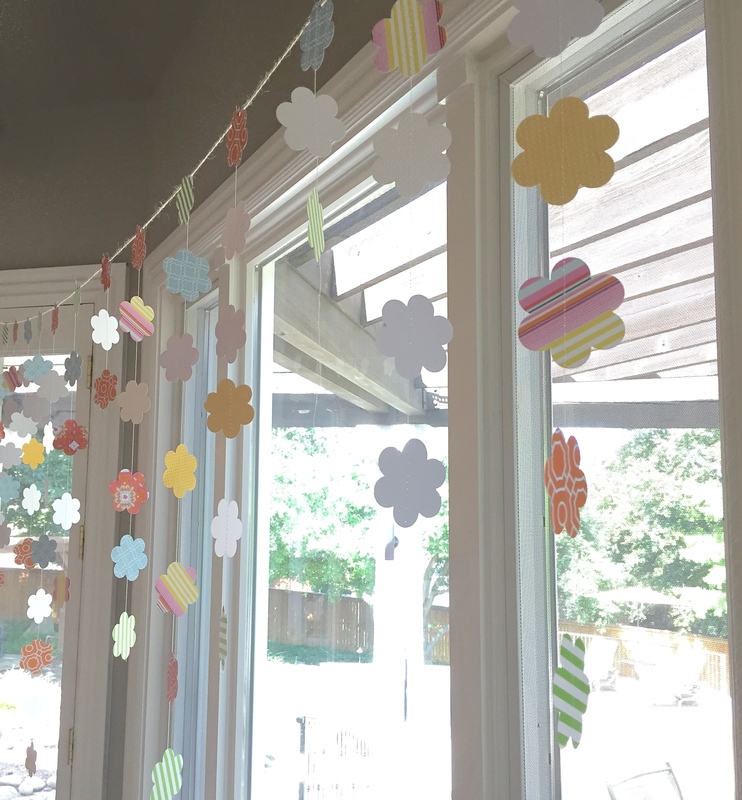 Make sure to click on the links to see how to make these easy and impactful decorations! Notice Daddy feeding baby girl in the mirror? Surprise appearance! 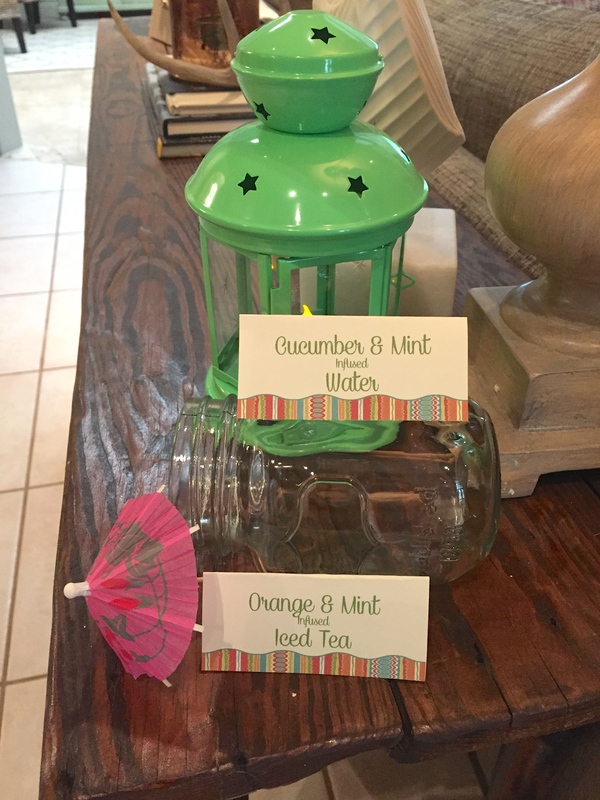 These colored bottles are also from Dollar Tree and add such great height to the tablescape. Next up, I had to get my hands on some of those lanterns from my inspiration pic! 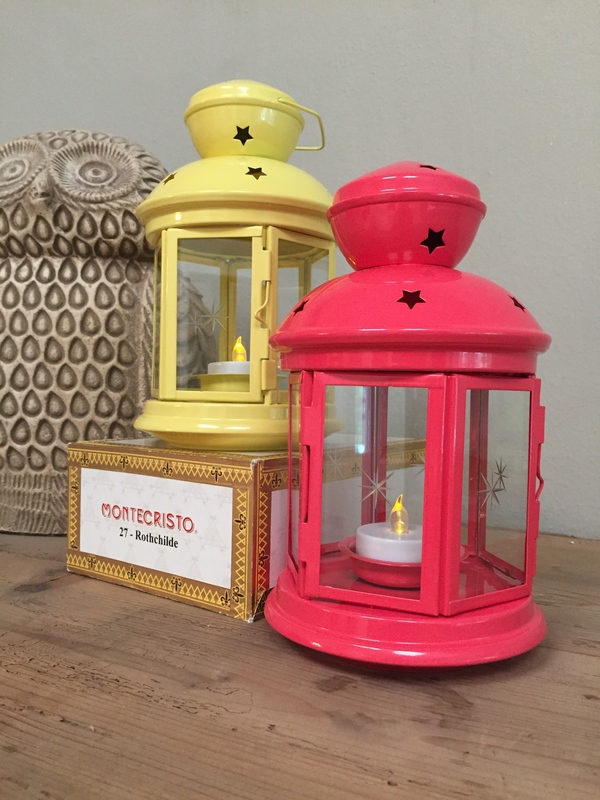 I searched high and low and can confidently tell you that IKEA by far has the best deal on these sweet lanterns. My original plan was to hang them from the tree behind our pool but given the torrential downpours we’ve been having in our neck of the woods (no seriously, God got mad at all of the Texans complaining about the five-year drought and made up for it in one month) I decided to keep them all safely in doors and spice up the entertaining areas. Hint: Dollar Tree has the battery operated votives in a pack of two! The party was BYOB but I made some fruit infused waters and iced tea (SO YUMMY). I opted to combine the Cucumber & Mint water with a little lemon vodka – HIGHLY recommend it. Check out the FREE DOWNLOADS of the fun summer fonts I used and the food tags to make your very own at bottom! Stay tuned for the next post in this series to get all the deets on the food! 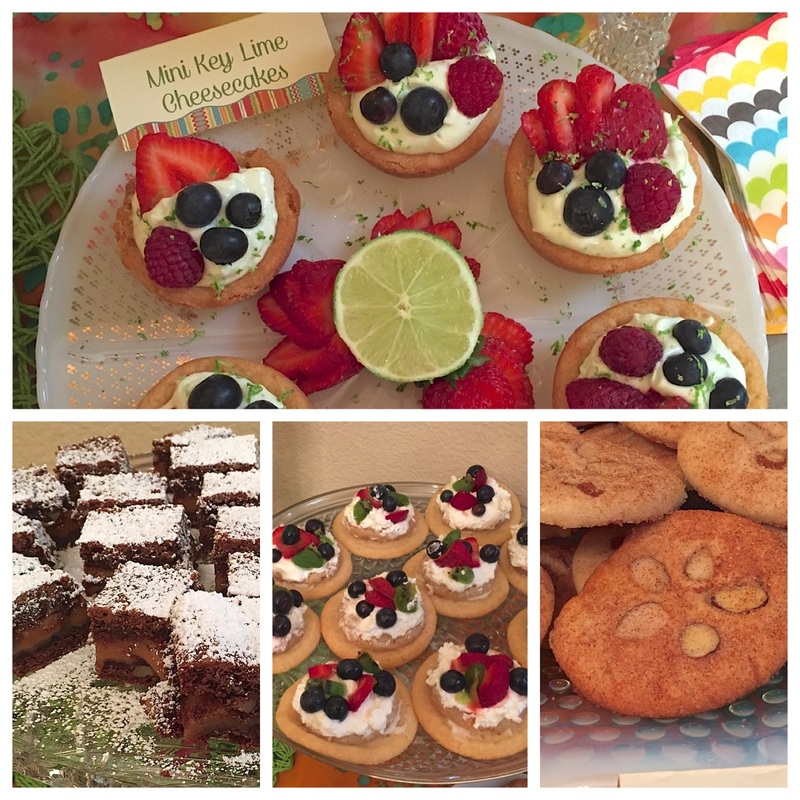 Here’s a sneak peek of what’s to come…I know…my mouth is watering too.